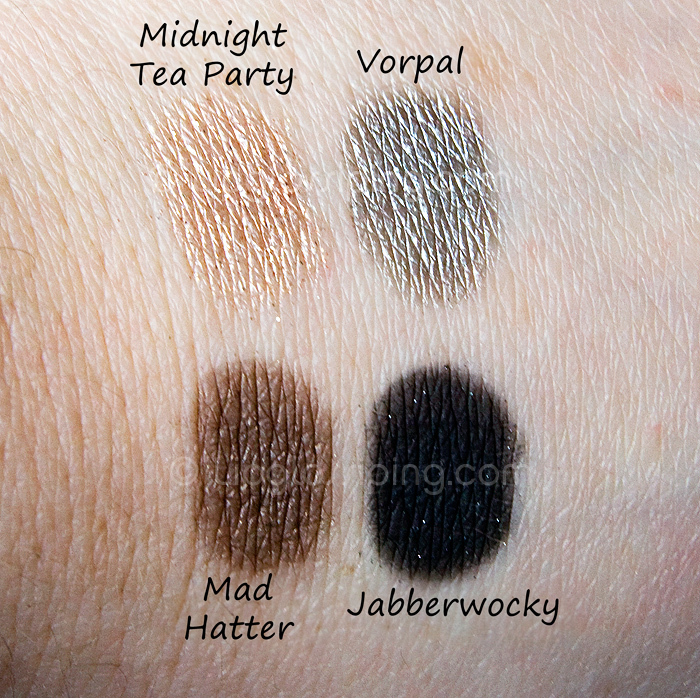 This is Part 3 of a triple post on the Urban Decay Alice in Wonderland Palette. Check out Part 1 and Part 2. Whew! I’ve been on a marathon swatching session for you to feast your eyes upon! I hope the photos are clear enough. I’ve worked hard to keep the swatches as close to real life as possible and I’m confident I’ve achieved it. Slightly less importantly, I’ve added a commentary of my thoughts on each of the shadows. I think eye shadow preferences are a particularly personal affair, so please be aware that these are my personal likes and dislikes. There still seems to be a lot of (mis)information flying around. To clarify, the Alice in Wonderland Book of Shadows will be released exclusively at Debenhams. It appears that *some* stores won’t be receiving stock, so do check with your local store in advance to save disappointment. If your store won’t be selling it, you will be able to order it online from Debenhams.com (and there’s usually a free delivery code floating around on t’internet to save you a few pennies). The palette will be priced at £28 (UK) / €37 (Ireland) and the rumours that there are only 2000 palettes allocated for our shores are untrue. There will be many more than that, but it IS limited edition and it WILL sell out quickly as sales in the US have proven. Ok, that aside… let’s get started shall we? UGBCGGIOM = Ugh! Great Bit Chunks o’Glitter, GET IT OFF ME! That’s it! That’s all I’ve got for you (barring a couple of dodgy looks I’ve done with the palette). If you have any questions about the palette or swatches, I’ll do my best to answer them for you. Gosh you are so modest (seriously). Your photos are perfect. Jabberwocky is my favourite, I’m going on a hunt to see if they sell it separately. Thanks for the swatches and the in depth descriptions. Much appreciated! Fabulous pics – thanks for sharing! 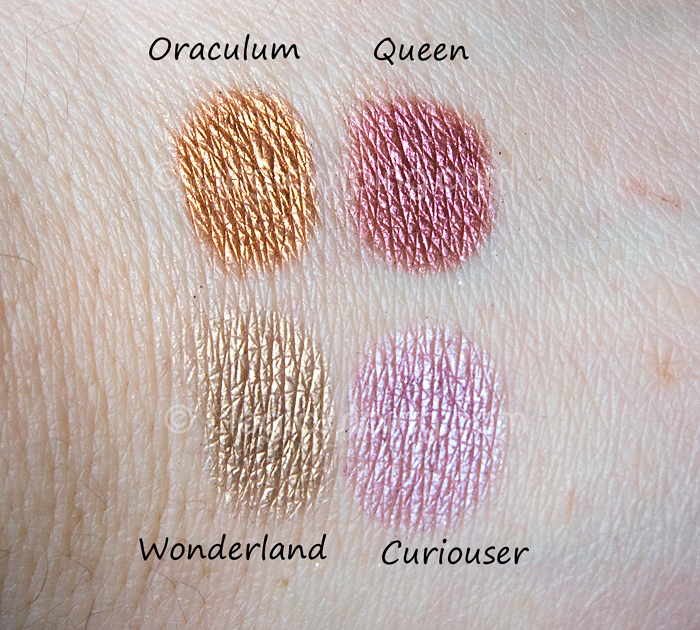 Thanks so much for the review/swatches! Awesome review thanks! I cant wait to get my hands on it! The photos are prefect! Thanks for the swatches. The fact that this palette does not have as many UGBCGGIOM makes me want it more but I can’t have it! Beeeaaautiful! You have made me want this palette even more than I already did, if that is possible. Ok I am in a quandry I really want this but do I really need it – argh I already have the sustainable box so I am duping a lot of colours – argh !!!!!!!! i have seen many posts about this palette and your swatch is the best and most clear and you should be proud!!! and i love the way you add thumbs up and down. so cute and so easy to read too. Could you maybe possibly perhaps write in the “normal” names of the shadows too? It would help convince me that I’m not going to be buying it due to dupes (and I know I have dupes). 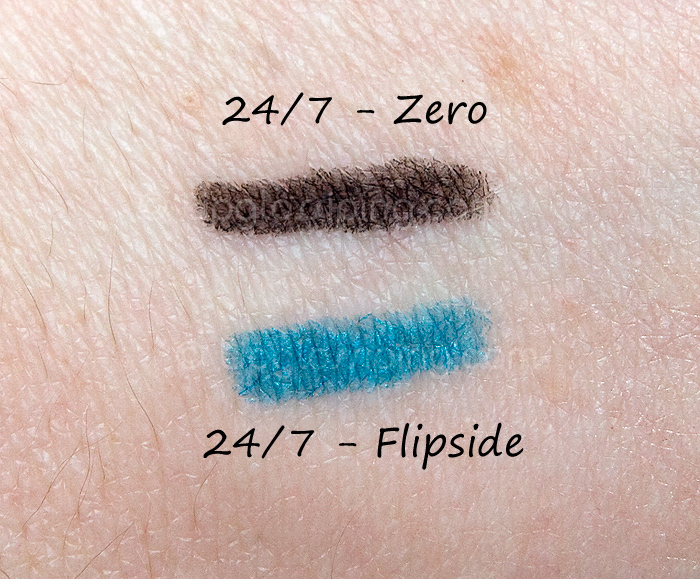 A tip for the glitterfail – get a hold of some Fyrinnae Pixie Expoxy to put underneath these ones. It kills fallout. Thanks for your swatches, they have convinced me that I have to have it! Do you think it will go online from midnight on the day its released? 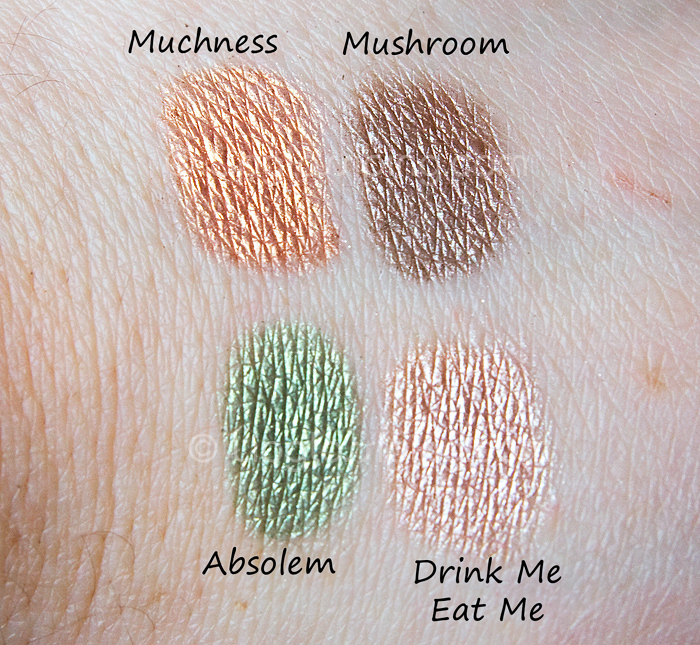 Wow, fantastic job on the swatches and photos! If I could afford this pallette right now I would definitely be owning it! Thanks so muchness! It looks wonderful and as ever, your review and photos are spot on. 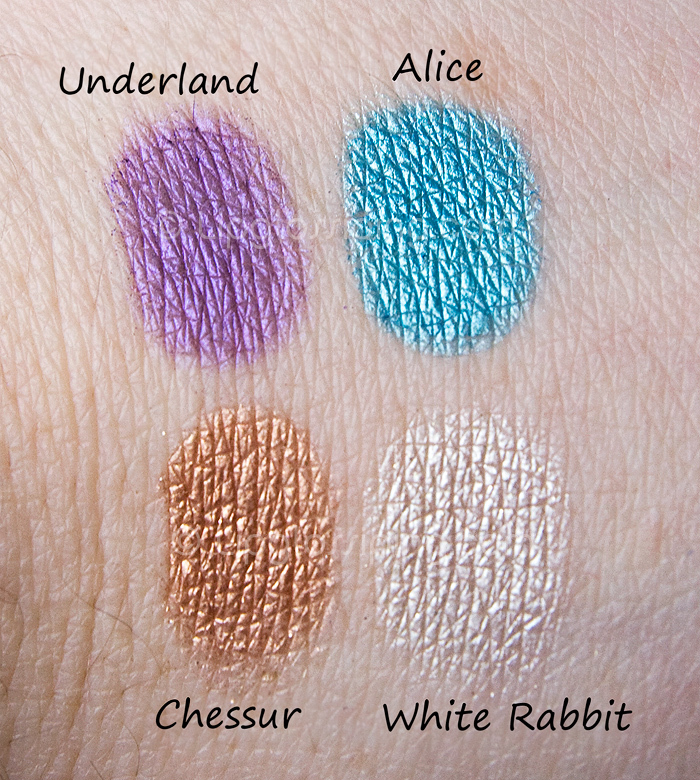 Thanks so much for the great detail & analysis of the new Alice in Wonderland pallet! I got mine this week & love it!